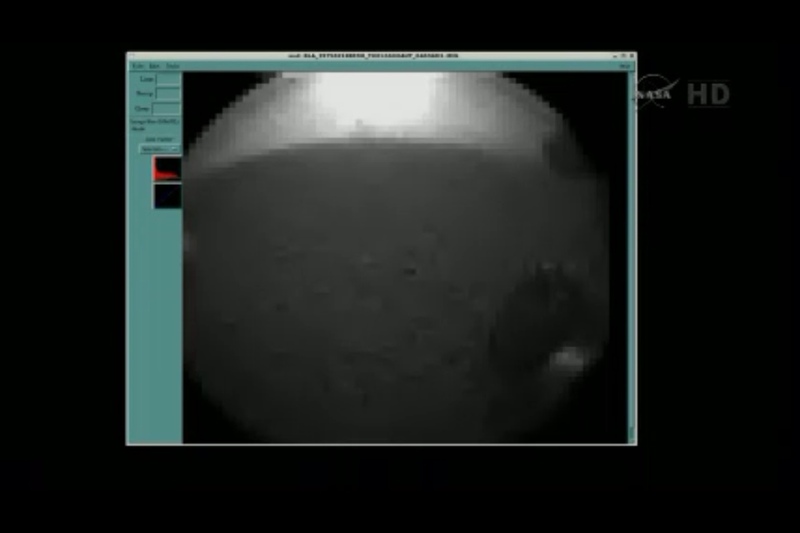 NASA’s Curiosity rover has landed on Mars! Its descent-stage retrorockets fired, guiding it to the surface. Nylon cords lowered the rover to the ground in the “sky crane” maneuver. When the spacecraft sensed touchdown, the connecting cords were severed, and the descent stage flew out of the way. The time of day at the landing site is mid-afternoon — about 3 p.m. local Mars time at Gale Crater. First images arrived via email.